Please note: This information is quite new. Let us know what you think of it and how it could be improved. Leave your feedback here. We will be updating it more as time goes by – to be alerted when it gets updated, sign up to our mailing list. Is my previous employer obliged to provide me with a reference? What if my employer refuses to give me a reference? Can my previous employer write something bad about me just because they do not like me? What is my previous employer most likely to mention in a reference? What do employers tend to ask for from references? What can I do if my referee mentions my criminal record? Can I see the reference that my previous employer wrote? What can I do if I can’t get a reference from my previous employer? Who can provide me with further information and assistance? This information aims to set out what legal obligations a previous employer has when providing you with a reference, what employers are most likely to mention in a reference and whether they are entitled to disclose details of any convictions (unspent or spent) which they may be aware of. It also looks at alternative referees if you are unable to get a reference from a previous employer. It’s part of our information on looking for (and keeping) employment and volunteering. Once you have been offered a job, most employers will ask you to supply at least one reference from a previous employer. For most people, this will not present any problems. However, if you’ve not been working for a while (perhaps as a result of a prison sentence), or if you were sacked by your previous employer (linked to the criminal record you now have) then you may be worried about asking them for a reference. If your previous employer is aware of your criminal record – because you received it during the course of your employment or it was unspent at the time you were taken on by them – then it’s important that you know what they can and can’t disclose in a reference. An employer must give you a reference if there was a written agreement to do so. Where the reference is needed by a regulatory body – this may be somebody like the Financial Conduct Authority to ensure that people employed to give financial advice are qualified to do so. If your former employer agreed orally to provide you with a reference and is now refusing to, you may still be entitled to one, although this is probably going to be difficult to prove. If your previous employer’s behaviour led you to believe that you would receive a reference. You may have grounds to claim a reference if, for example, they have always provided references to previous employees. If your employer refuses to give you a reference, then this may ring alarm bells with your new company. However, some companies are increasingly refusing to give references because they’re worried about legal action. You are likely to be asked to provide 1 or 2 work references and possibly, a personal reference – so choose carefully. If the organisation is satisfied with the majority of your references then they may not argue about one being refused. No. The law states that any reference must be ‘fair, truthful and accurate’ and your referee should not mislead the employer asking for the reference in any way. If you believe that you have been given an inaccurate, incorrect or misleading reference then you may be able to sue your previous employer for damages if you were able to prove that the reference prevented you from getting a job or, you suffered some other financial loss as a result of it. In some cases, you may also be able to bring an action against them for defamation. An employer can include details about your work abilities and performance together with the reasons why you left the job. However, employers are increasingly reluctant to provide too many details in a reference because they are worried about claims for defamation of character and other types of legal action that former employees can take. Therefore, they tend to provide the bare minimum for references, simply mentioning the job title and the dates when you were employed. We’ve seen examples of employers asking referees to provide details of criminal record. See an example below. If your previous employer is aware of your criminal record or any pending prosecutions, then the Data Protection Act states that they should class this as ‘special category data’. This is information which could be used in a discriminatory way and needs to be treated with greater care than other personal data. If your previous employer is asked therefore whether they are aware of any criminal convictions or cautions on your record then, unless they have your explicit consent to do so, they should not respond to this question. If you were able to prove that they had provided this information (possibly by submitting a subject access request to your current employer), then you would have the right to claim compensation from your referee as they would be in breach of the Data Protection Act. In addition, under the Rehabilitation of Offenders Act, your referee must not disclose details of any spent convictions to prospective employers. If you have been refused employment because a referee revealed a spent conviction, there may be a case for compensation through loss of future earnings due to your previous employer’s reference. You may be able to take the matter to an employment tribunal. The Advisory Conciliation and Arbitration Service (ACAS) or the Information Commissioners Office (ICO) may be able to provide you with assistance on issues relating to data use and protection. Your previous or current employer do not have to automatically show you a reference they have written about you. Once you start a job with a new employer, you can ask them for a copy of any reference they have been given from your previous employer. This is a right under the Data Protection Act. Your previous employer is not obliged to provide you with such a copy. If you didn’t start work with the new employer (maybe because the job offer was revoked as a result of a ‘bad’ reference), you can still request a copy of the reference from them. There is no obligation on an organisation to keep information relating to ‘potential employees’ and you may find that they no longer have it. To request a copy of your reference, you will need to make a subject access request in writing to your new employer. They will then consider if any exemptions apply and if they can release the information to you. Without a reference to explain whether or not you are suited to the work, an employer may lack crucial information about you. This may be especially problematic if you are applying for a position of responsibility. Assuming that a reference is necessary, try to secure a good character reference. If these are from mature professionals (e.g. doctor, teacher etc), they may carry enough weight to satisfy an employer. If you are still in touch with any co-workers, mention to the employer that you could provide details of former colleagues who would be able to speak about you in a work capacity. Alternatively, consider any clients that you may have had in the past who might be prepared to provide you with a reference. Remember that a reference can also come from any temporary or voluntary work you’ve undertaken. As mentioned above, ACAS and the ICO are both relevant here. Find out their details on our important links page. +-Is it true that a previous employer can't provide a 'bad' reference? No. A ‘bad’ reference is allowed, provided that it is not malicious and that the employer took reasonable care to ensure that the information was correct. Practical self-help information – We have more information on looking for (and keeping) employment and volunteering. 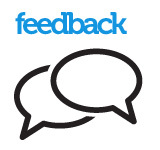 Discuss the issue – Read and share your experience on our online forum.